Fifteen Years Later: Still The Most Brutal Conclusion To A Heavyweight Fight. Bill Cayton- Tommy was a distant relative of legendary movie star John Wayne. However most people took this little touch of PR magic (with a large pinch of salt in many cases) it certainly was an original angle and one that would never hurt Tommy's ticket sales. It also gave him his nickname of “The Duke”. And of course Tommy had recently experienced movie making firsthand as he'd starred alongside Sylvester Stallone in the fifth installment of the “Rocky” series. So, with all this hype surrounding him and an unbeaten pro record to go with it, it was now time for Tommy to be tested at top level. Enter “Merciless” Ray Mercer. 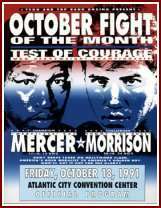 Mercer was also undefeated and as well as capturing a gold medal at the ’88 Olympics he also held the WBO heavyweight title. And while he was most certainly considered a big step up in class for Tommy, he was not one that looked to be overly daunting. Ray's recent form had a lot to do with his being chosen as Tommy's breakthrough opponent. Mercer had looked anything but merciless in four of his most recent fights. 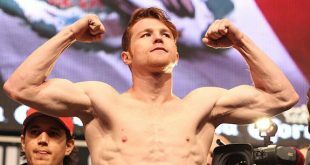 He had been forced to go the distance in bouts with Jerry Jones, Ossie Ocasio and Kimuel Odum,looking decidedly average as he'd done so, and in his last fight before squaring off against Tommy, Ray had been completely out-boxed by Italy's Francesco Damiani before finally halting his man in the ninth round to win his WBO belt. So, he looked far from frightening and was therefore thought of as a perfect opponent for the still green Morrison. time when it was only just getting off the ground. The finish to the fight that awaited all concerned that evening at The Convention Centre in Atlantic City was nothing short of frightening! Tommy came out very fast, Mercer had a reputation as a slow starter, and really let his hands fly. He looked a sure winner as he hit Ray with every shot in the book. His left hook, to both the head and body, was really clicking as was his combination punching in general. Mercer was badly stunned in the third by a right to the body followed by a right uppercut that snapped his head violently upwards. Tommy was proving how effective he could be with either hand. But as these punches landed, with Tommy almost certainly expecting him to fall, Ray regrouped and continued to trudge forward. What an absolutely granite chin this man had in his possession! Before this fight the furthest Tommy had gone in a fight was six rounds and at the end of the third, after landing his most hurtful shots without the desired result, he started to show signs of tiredness. He may well have felt some anxiety too. When he'd seen Mercer take the punches that he had just taken - punches that had accounted for all his previous opponents- he was out of ideas as to what to do next when Mercer was still there. Tommy was breathing hard and he had no plan B. Round four was the best yet for Mercer. With his mouth bleeding inside, he let both his hands go and landed some combinations. As he did Tommy's mouth dropped open. Ray continued throwing punches right until the bell ended the round, a round he had clearly won. Before what turned out to be the final round of the evening, Tommy's corner told him to relax. They could evidently see the distress in his eyes. Then came the ending, seemingly from nowhere. Tommy found himself backed into a corner and he was soon helpless. Ray opened up with both hands blazing combinations and although it was quite hard to see which of these shots first put Morrison in trouble, he was soon defenceless on the ropes. He remained upright, however, and with referee Tony Perez behind him Ray teed off on his unconscious opponent. It was very dangerous as at least six unnecessary punches crashed into Morrison's head. Really, the performance of Perez while officiating this fight was quite disgusting. He should have dived in and saved Tommy when instead he issued his authority with nothing more than a tap on Mercer's shoulder. Finally, Morrison slid to the canvas and the chilling spectacle came to an end. 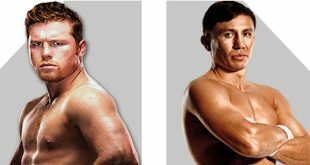 The finish to this fight remains as scary to watch today as it did when it occurred, almost fifteen years ago. I have never seen a more brutal ending to a heavyweight bout since. Due to the nonexistent refereeing skills of Perez we could have seen a fatality. Thank God this was not the case. As he was led back to his stool and sat down, Tommy began bobbing and weaving and ducking imaginary punches. Only when he was told what had just happened to him did Tommy stop fighting. One would have been forgiven for believing we had seen the last of Tommy in a boxing ring after what he'd just been subject to. But, showing incredible guts, he continued to fight. 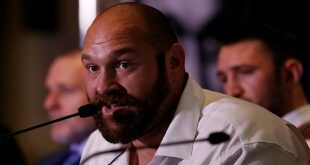 He went on to provide the 1990’s with some of heavyweight boxing's most exciting moments and in doing so he proved wrong the many critics who thought he was nothing more than hype. Today, however, he is sadly deluding himself with thoughts of a come back while being HIV positive. His fighting days are clearly over but to many they seemed to be after Ray Mercer had thrown his final punch that October evening in 1991. To his eternal credit, Tommy's career was indeed just getting off the ground. As for the winner, Ray Mercer, he unfortunately didn't have too long to celebrate his spectacular victory. 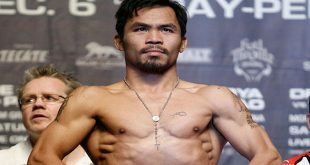 He was beaten, in a somewhat humiliating fashion, in his next bout, against forty something legend Larry Holmes and though he would remain a tough test for any heavyweight in the world he would never again win a world title. Still, Ray was the man all the top guys had to get past to prove that they were worthy title material. Lennox Lewis, for one, found out how prepared you had to be to beat Ray Mercer. “Merciless” was badly beaten by Shannon Briggs, in what should prove to be his final fight, last year. If he does hang 'em up he does so with the knowledge that he fought practically every notable heavyweight of the last fifteen years. And in doing so he was only ever stopped twice, proving how very tough he was right the way through. But it was the fight against Morrison that he will be best remembered for by anyone who saw the most brutal conclusion to a heavyweight fight live. Anyone who saw this carnage will surely never forget it!